Born into an aristoratic family in Albi, Tarn, France, he was a French printmaker, drafstman, illustrator and painter. His physical condition made him unable to participate in typical activities, so he immersed himself in his art. 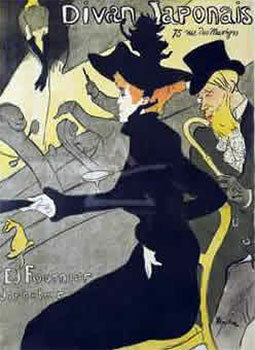 When the Moulin Rouge opened, it commissioned Toulouse-Lautrec to create a series of posters, after which they gave him a reserved seat and displayed his artwork. View more Henri de Toulouse-Lautrec.